Description: Sleek stainless steel barrel Textured grip Refillable with standard 0.5mm lead Replaceable eraser with Zebra #83211. Complies with Prop 65. Description: D Series 3 in one gift set. Red with chrome trim, deluxe tin gift box. 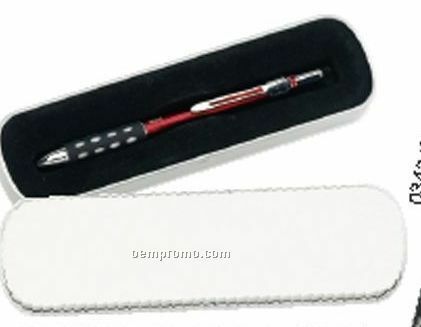 Multi function pen: black ink ball point pen, red ink ball point pen, and 0.5mm mechanical pencil. 3 pens in one. Push side button to release refill. Black dot grip. 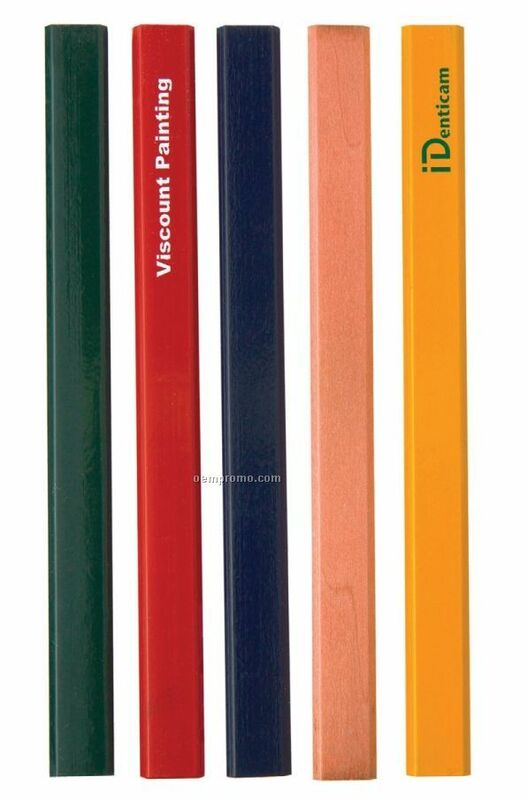 Description: Quality flat core encased in our best 700 Series Domestic Carpenter pencil. Solid or striped contrasting barrel colors continue the popularity of the true carpenter pencil. This one is flat-out a Best Seller!. Complies with ASTM, CPSIA, Prop 65. 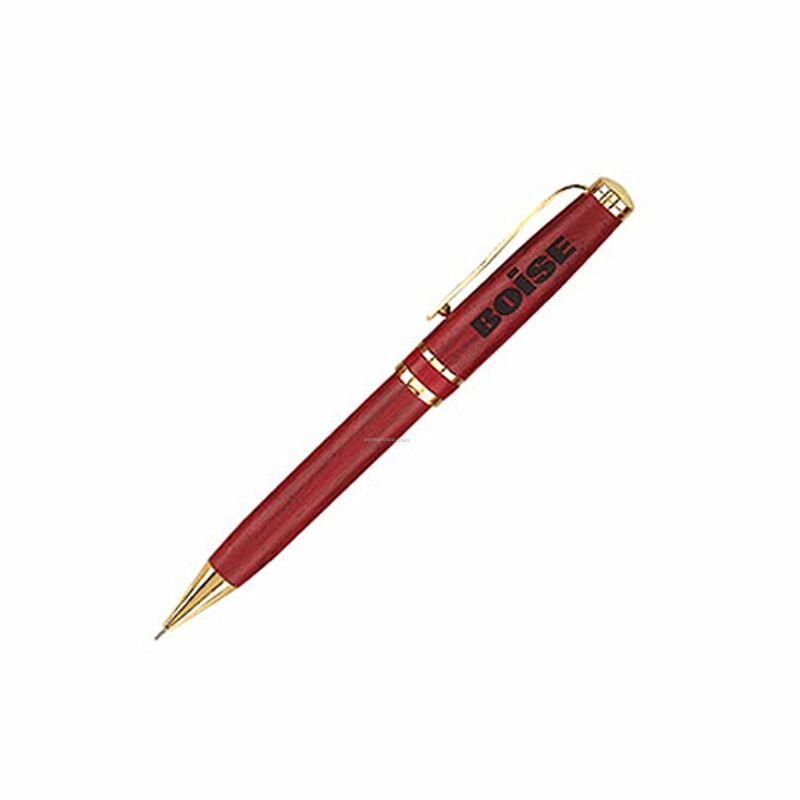 Description: Genuine wood pens in twist-action ballpoint, cap-off rollerball, or mechanical pencil. Your choice with laser engrave on cap or barrel. Standard ink refill is black. Description: Transfer wraps " Truly customize your imprint with a tour color process Transfer Wrap. You can expand your message, and creativity, to full barrel coverage!. Complies with ASTM, CPSIA, Prop 65. Description: Bamboo ballpoint pen made from real bamboo. Trim is made from corn starch and is 81% biodegradable.